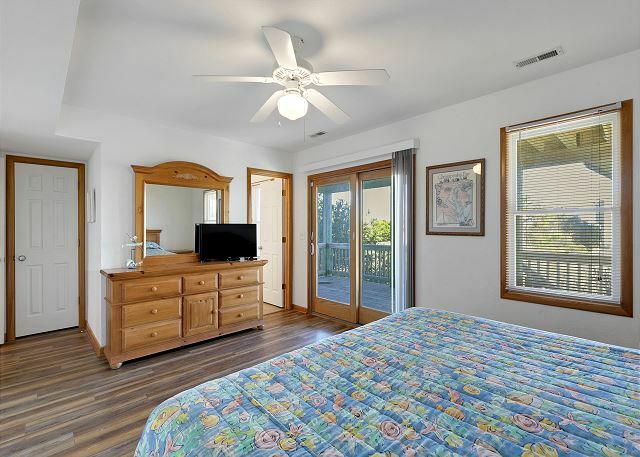 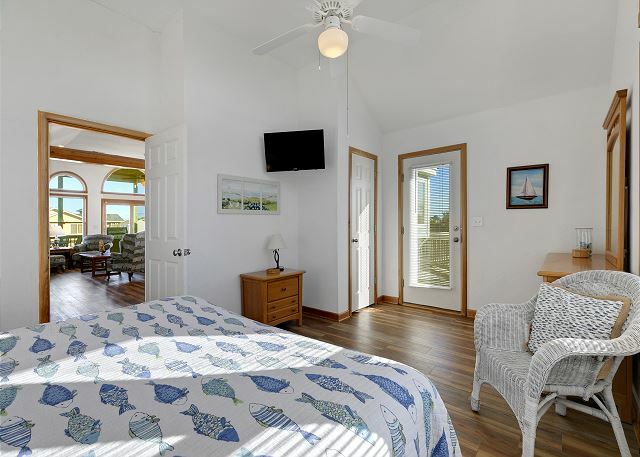 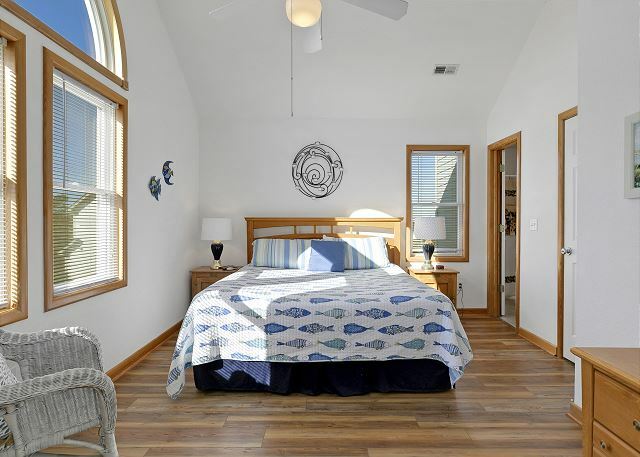 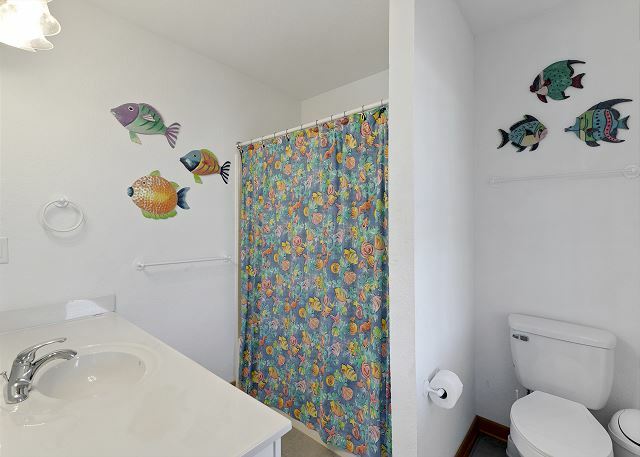 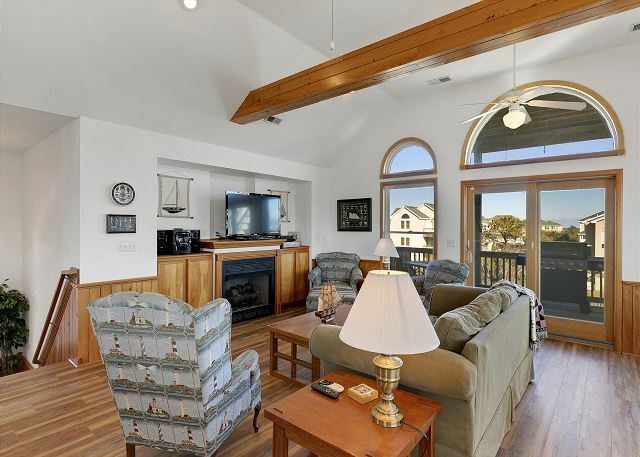 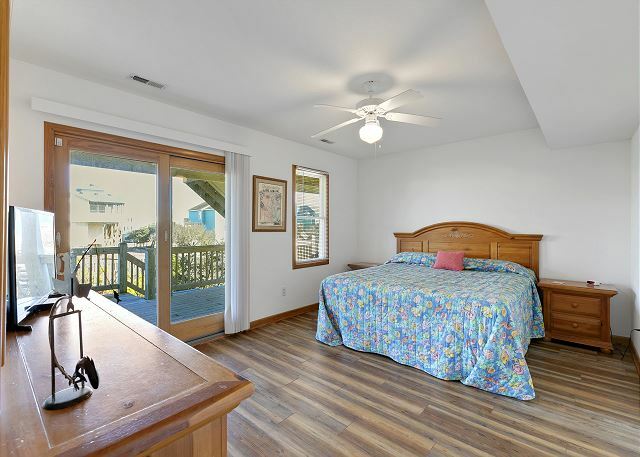 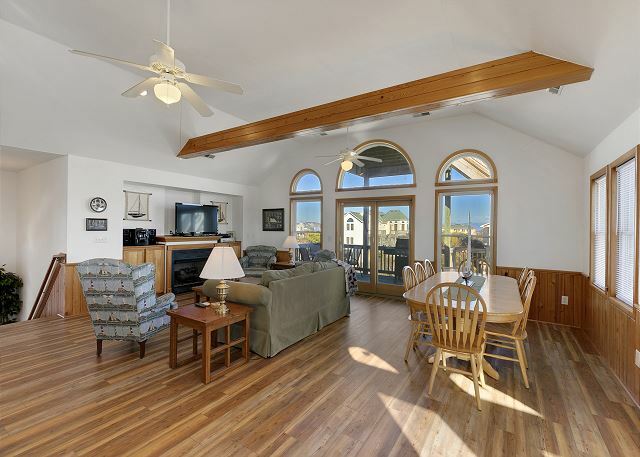 Formerly known as "A Peace of Heaven," get ready to "get lazy" at this spacious beach vacation rental! 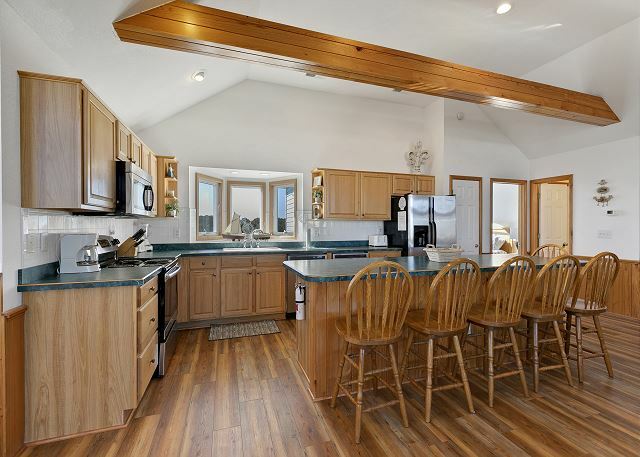 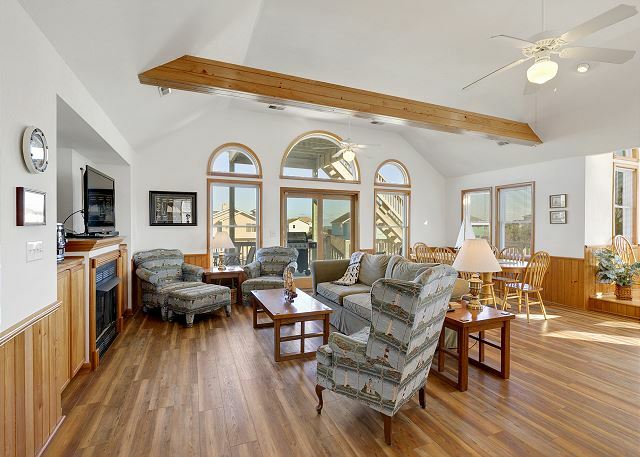 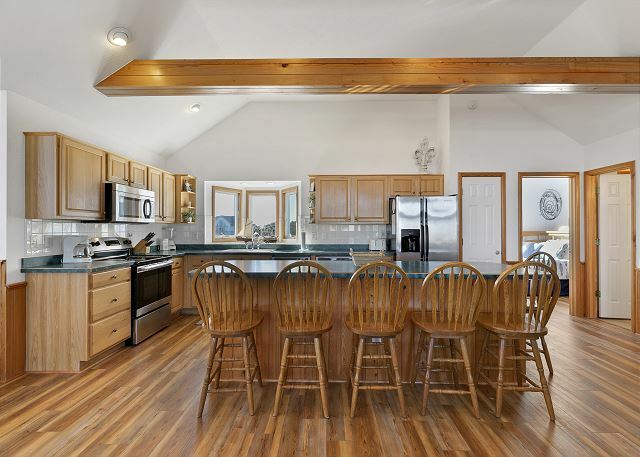 This vacation home is roomy enough for 2 families, plus it is pet-friendly for up to 2 dogs! 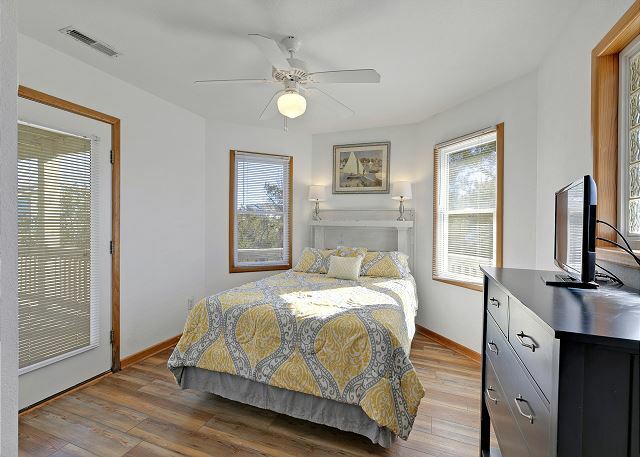 New owners have spent six months installing new flooring, furniture, and bed linens. 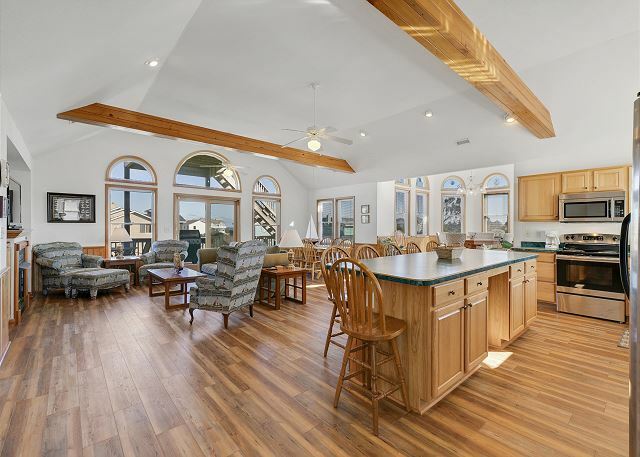 The Great Room encompasses the kitchen, dining and living areas. 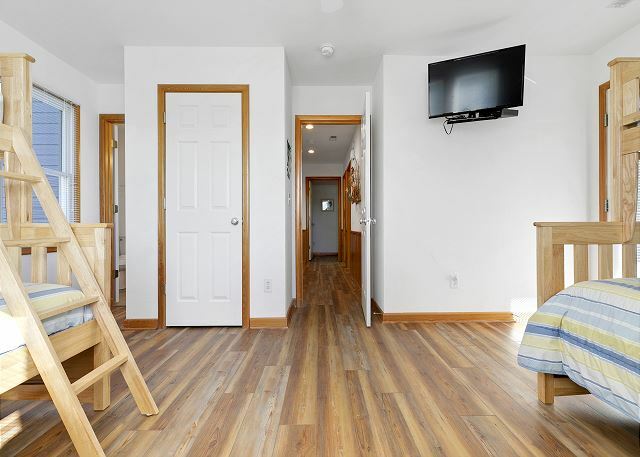 The large flat-screen TV is perfect for viewing a movie or the latest game. 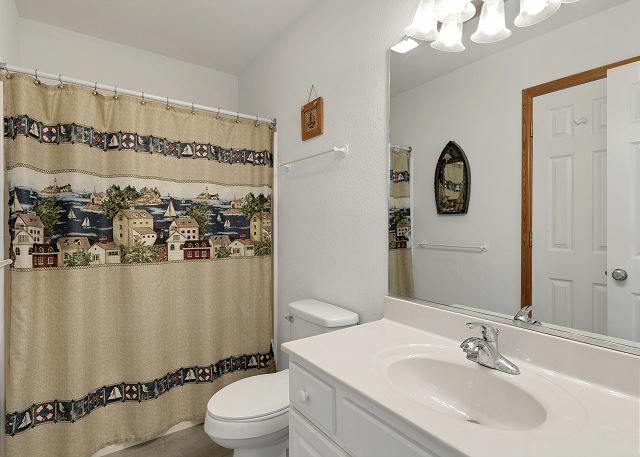 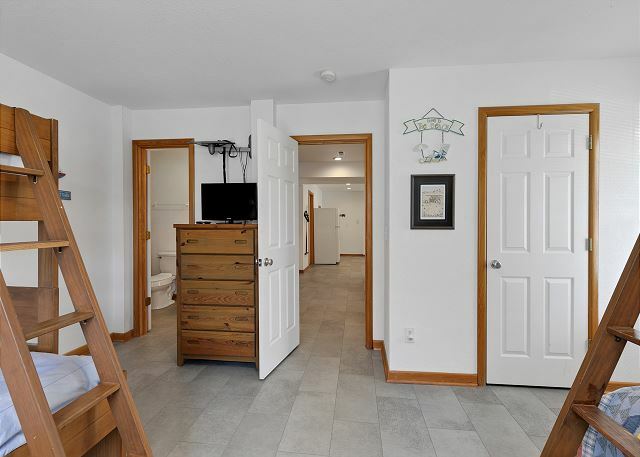 The King Jr. Master Suite is on this floor with a shower/tub combo and it is semi-private as it has access to the living area. 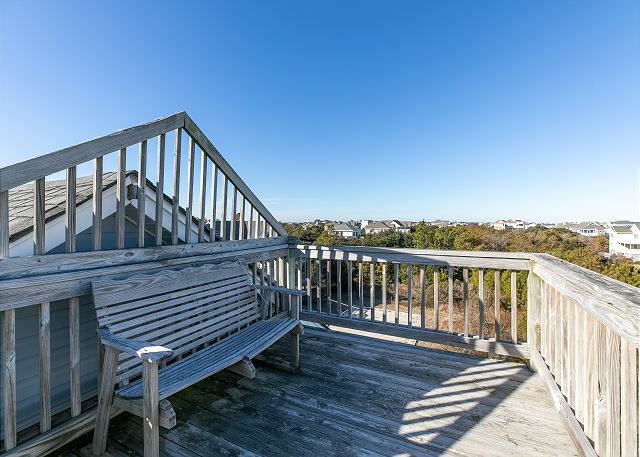 There is deck access to views of the ocean and surrounding neighborhood with the rooftop deck. 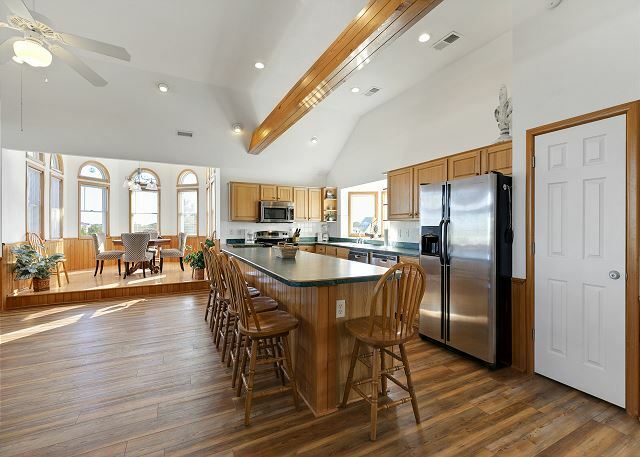 The modern kitchen has 2 dishwashers and an island that seats 6. 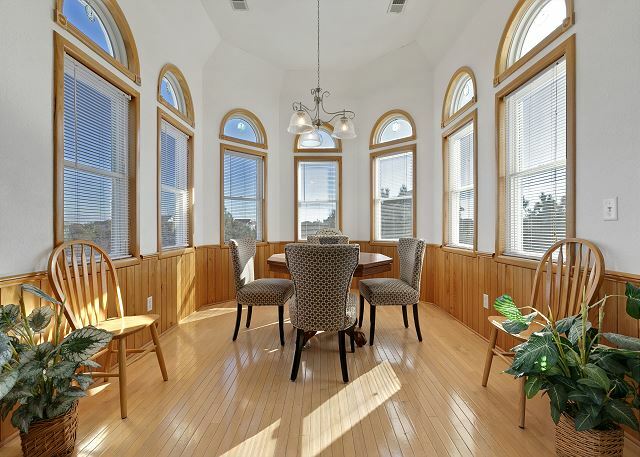 The dining room seats 10 with a Shipswatch that has a table for 4. 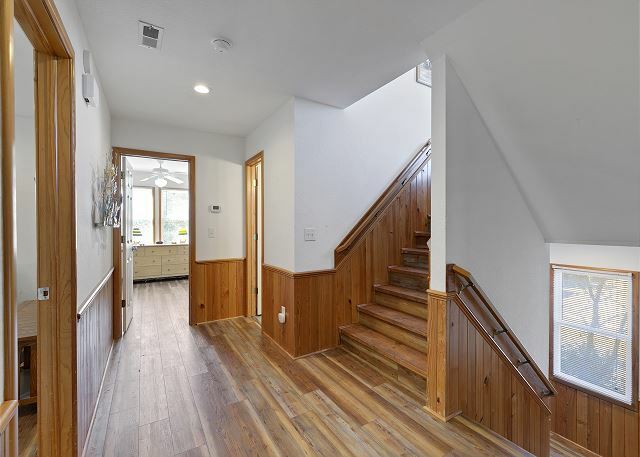 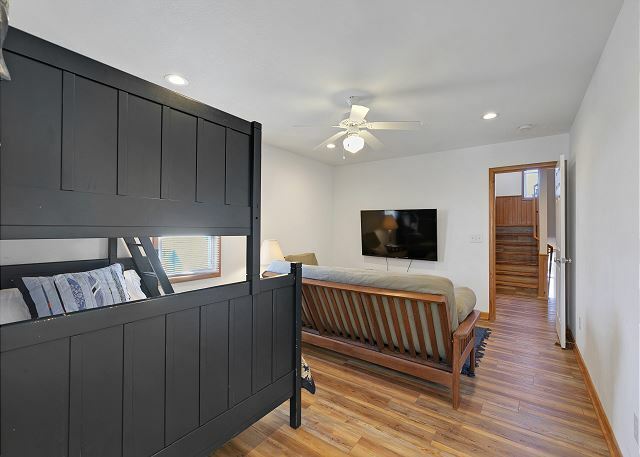 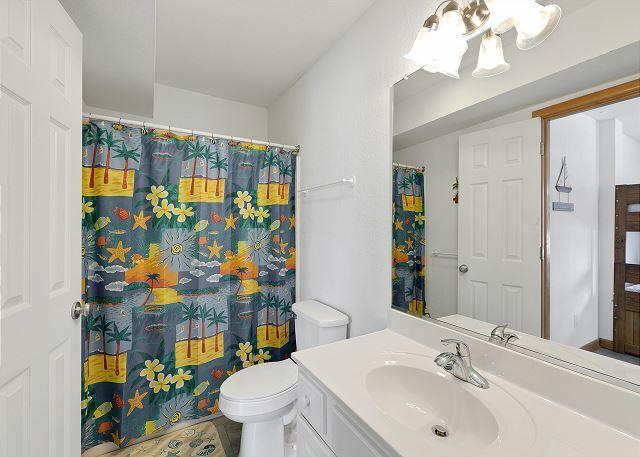 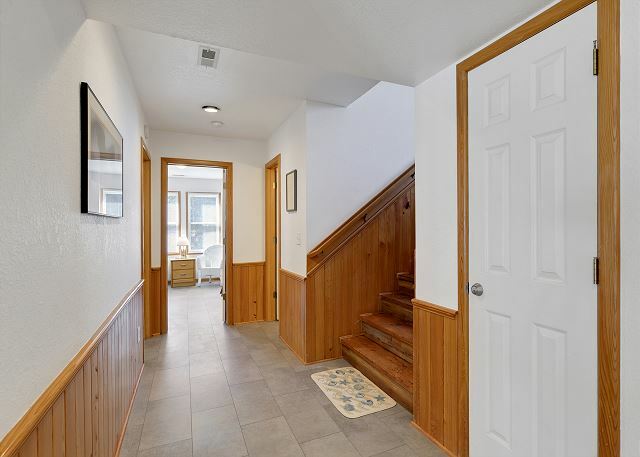 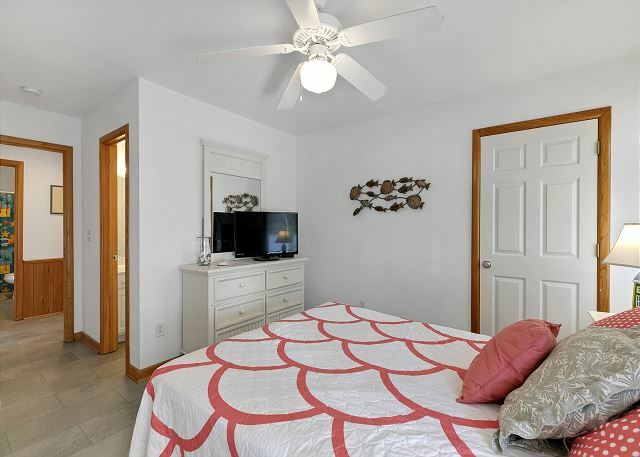 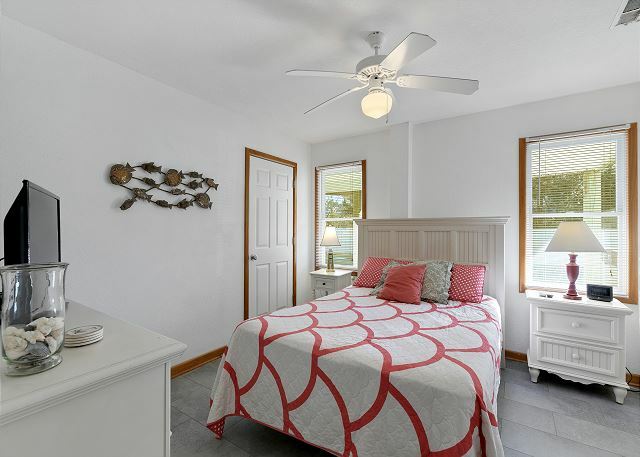 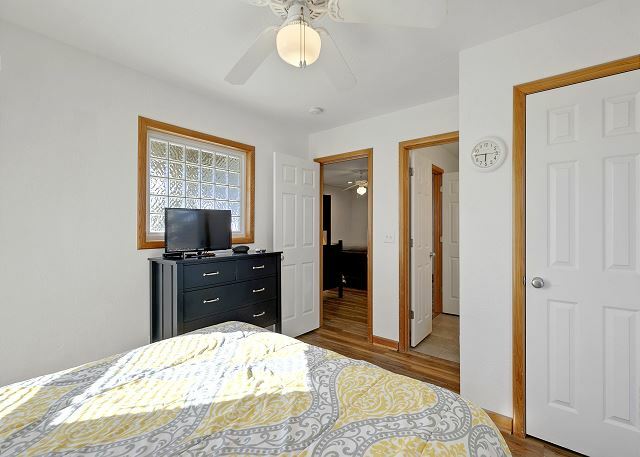 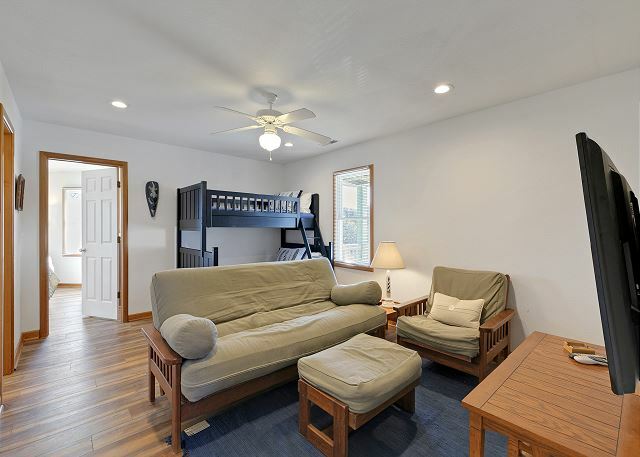 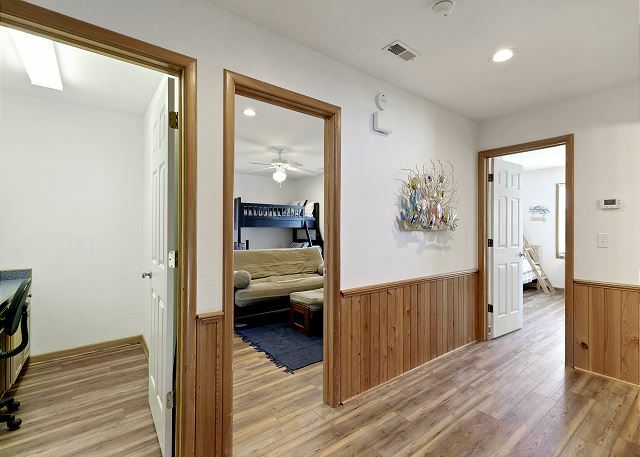 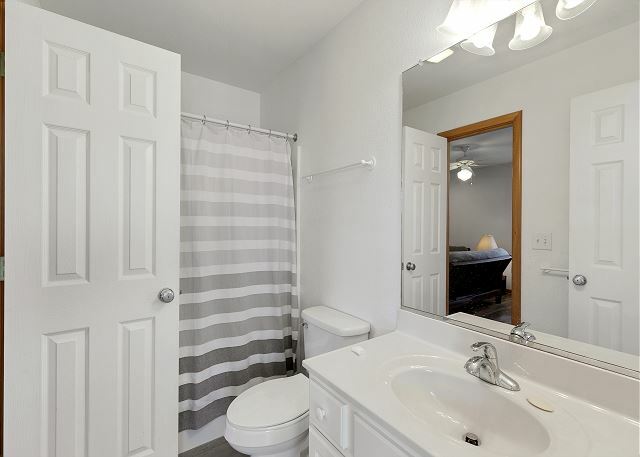 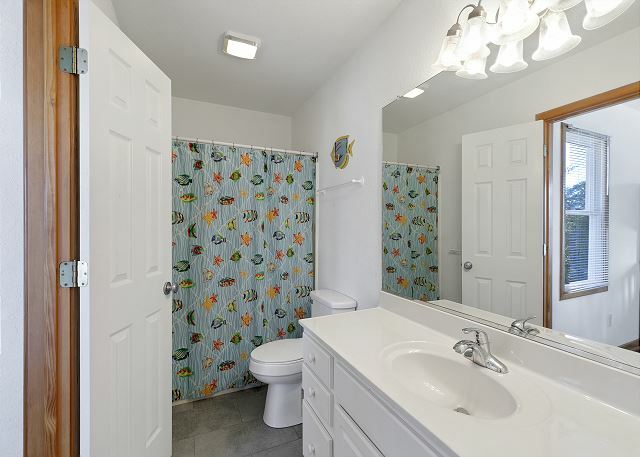 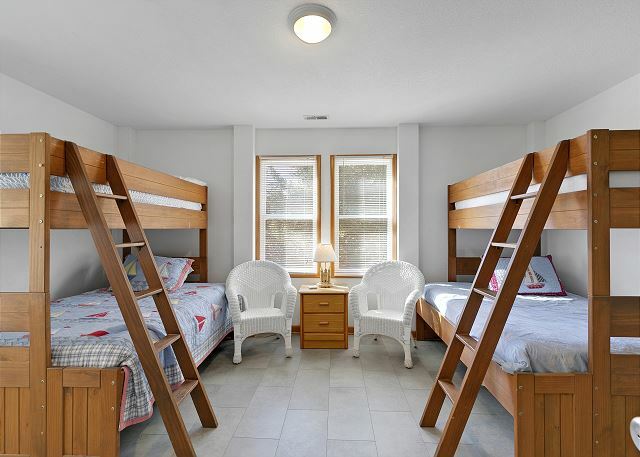 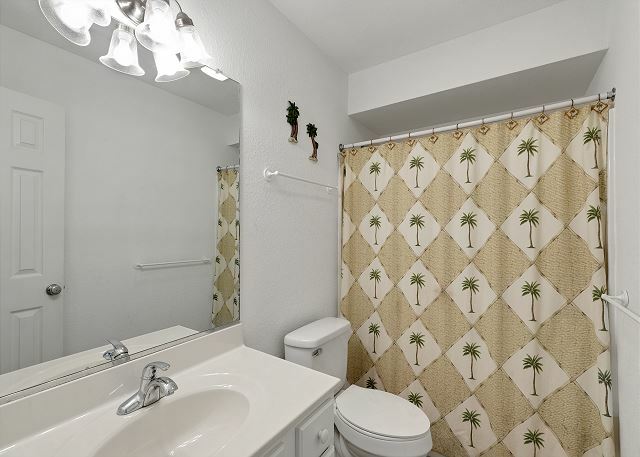 Three bedrooms are found on this floor: a King Master Suite with deck access, a Queen Bedroom that has deck access and access to the hallway bath; a double Pyramid Bunk Jr. Master Suite with a semi-private bath that has hallway access. 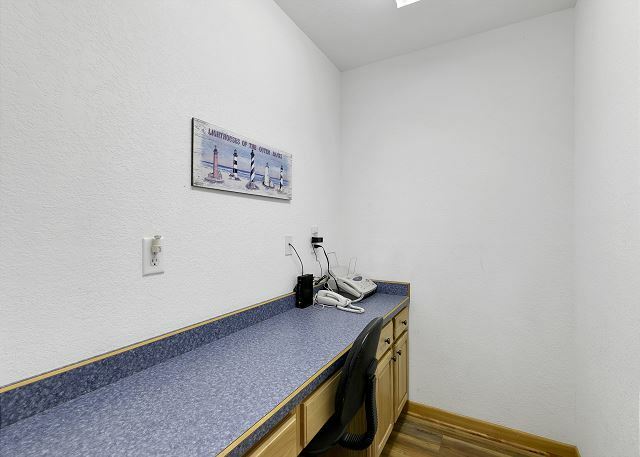 There's a Den with flat-screen TV and a bonus bed, and a small office area on this floor. 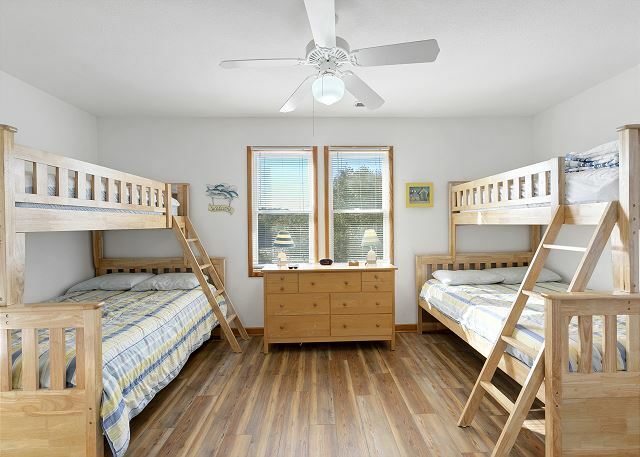 A Queen Master Suite and a Pyramid Bunk Jr. Master Suite with a semi-private bath that has access to the game room. 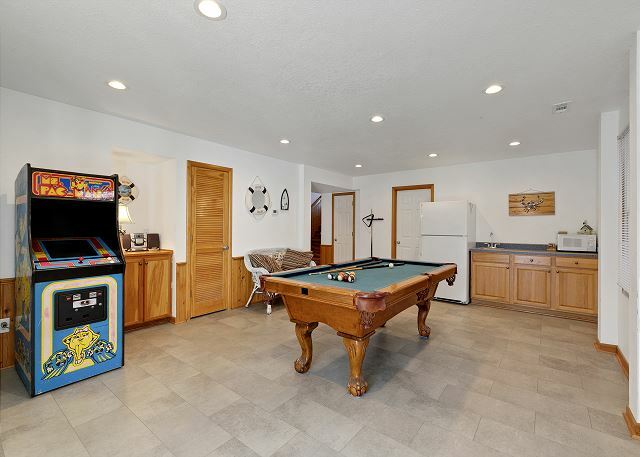 The game room has a pool table, kitchenette and full-size refrigerator and free-standing arcade game. 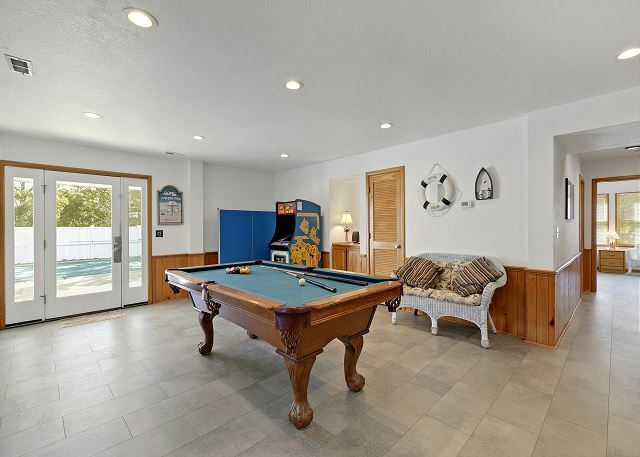 Large pool (12’ x 36’), outdoor bathroom, and hot tub are at the back of the house. 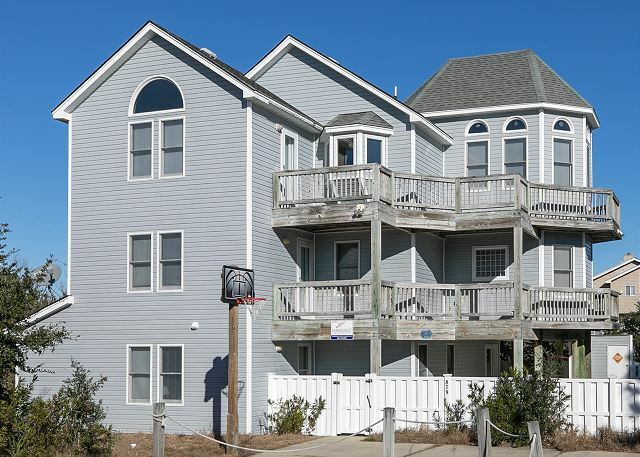 A basketball hoop is located in the front driveway and there's a volley court too!